5 piece matryoshka doll set, featuring five fragments of Russian fairy-tale “Fire-..
Matryoshka nesting doll Black Beauty. Free worldwide shipping. 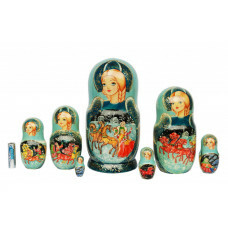 7 piece matryoshka doll set, featuring the painted miniatures of Russian fairy tales. Th..
Matryoshka nesting doll Girl with plait (red). Free worldwide shipping. 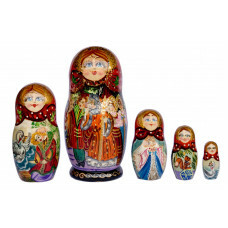 7 piece matryoshka doll set, featuring the painted miniatur..
Matryoshka nesting doll Girl with plait2 . Free worldwide shipping. 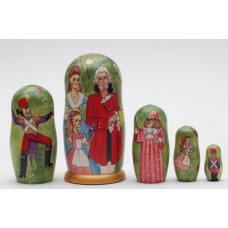 5 piece matryoshka doll set, featuring the painted miniatures of Nutcracker. 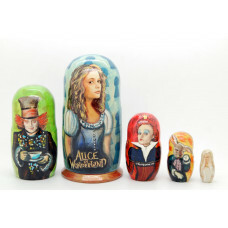 This set is made..
7 piece matryoshka doll set, featuring the painted miniatures of Russian fairy tales. 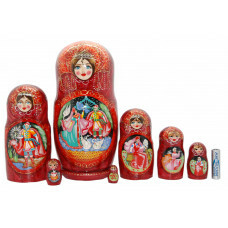 This set is..
Matryoshka nesting doll Tales1. Free worldwide shipping. 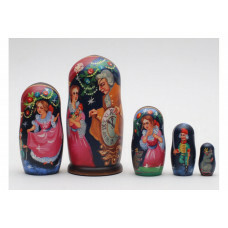 7 piece matryoshka doll set, featuring the painted miniatures of Russian fairy tales. This set is ma..
Matryoshka nesting doll Tales3. Free worldwide shipping. 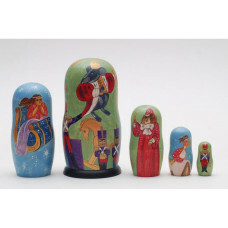 5 piece matryoshka doll set, featuring the painted miniatures of Russian fairy tales. This se..
Matryoshka nesting doll Tales7. Free worldwide shipping. 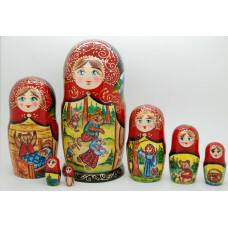 7 piece matryoshka doll set, featuring Masha and Bear Russian fairy-tale. You can see the elements o..